Before the real madness of March gets underway with this year’s NCAA Tournament, the early part of the month is reserved for the end of the regular season. 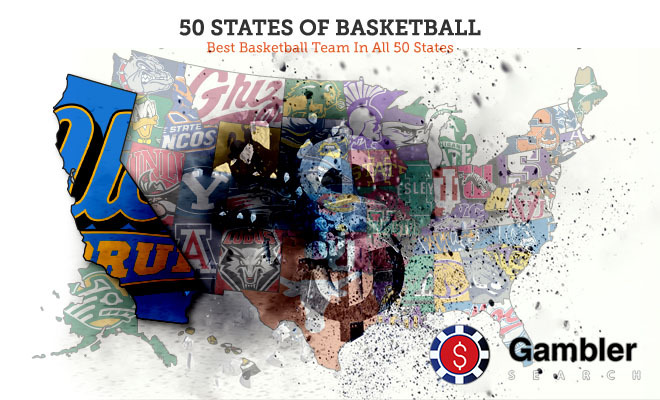 This leads to all the conference tournaments that will eventually determine the 68-team field for this year’s Big Dance. Heading into all the games on the slate over the next two weeks, one of your best handicapping tools is all the team betting trends that have been accumulated over the past four months of play. Going back to November at the start of the season with nonconference play right through the end of the regular season with the last few crucial conference matchups on the slate, every college team can be graded on its performance both straight and against the spread. The latest national rankings for the top 25 teams in the nation have the West Coast Conference’s Gonzaga Bulldogs at the head of the class. The remainder of the top five is dominated by the ACC with the No. 2 Virginia Cavaliers leading the way followed by North Carolina and Duke. The SEC is well represented with Tennessee at No. 5 and Kentucky at No. 6. When you go to the top 25 college basketball teams in terms of their record ATS, Virginia is at the top of that list at 22-7 to complement its SU record of 27-2. The Cavaliers only two SU losses this season came against Duke with a 1-1 split ATS. With Monday’s 79-53 romp over Syracuse as six-point road favorites, they have covered the closing number in their last five games. Virginia closes out the regular season on Saturday against Louisville at home ahead of next week’s ACC Tournament. While Tennessee and Kentucky are at the top of the SEC standings, Ole Miss remains the best betting team in that conference. The Rebels fell to 19-10 SU overall with back-to-back losses to the Volunteers at home and Arkansas at home, but they were able to cover as underdogs in each game. Heading into Tuesday’s home game against Kentucky as five-point underdogs, they are 21-8 ATS after covering in five of their last seven games. Ole Miss closes things out on Saturday with a road game against Missouri. The No. 7 Michigan Wolverines are 15-4 SU in Big Ten play and a half-game in back of Purdue (15-3) in the conference standings. Also in the mix for the regular season title is No. 9 Michigan State at 14-4. Of the three teams, the Spartans have been the best bet at 23-6 SU overall with a 20-9 record ATS. They have failed to cover in two of their last three games, but they are still a profitable 13-5 ATS in conference play. Michigan State is listed as a heavy 14-point favorite for Tuesday’s home game against Nebraska and it will be going for the season sweep against the Wolverines this Saturday at home after beating its bitter rival 77-70 on Feb. 24 as a 4.5-point road underdog. One of the top betting teams in the nation from a Mid Major conference is the AAC’s Houston Cougars. They are coming off a stunning 69-64 loss to Central Florida on Saturday as seven-point home favorites. This snapped a SU 12-game winning streak. The Cougars are 27-2 SU overall with a healthy 19-9-1 record ATS, but some of their betting value has been lost down the stretch with a 2-2-1 record ATS over their last five games. Houston wraps things up with a home game against SMU on Thursday and a road game against Cincinnati this Sunday. When you review the general betting trends for college basketball this season, SU favorites have won 74.5 percent of the time. Home favorites boost that percentage to almost 77 percent. The Oddsmakers have been on the money all season long with a 50/50 split between favorites and underdogs ATS regardless of where the games were played.